Category: Balustrades, Capitals, Columns, etc. The famous architect Andrea Palladio used the stone of Vicenza in the realization of all his architectural works, by virtue of the physico-mechanical properties that make it particularly resistant to weathering. In our sculpture workshop – following this tradition - we became specializes in the carving of the natural Vicenza stone for the creation of architectural elements. 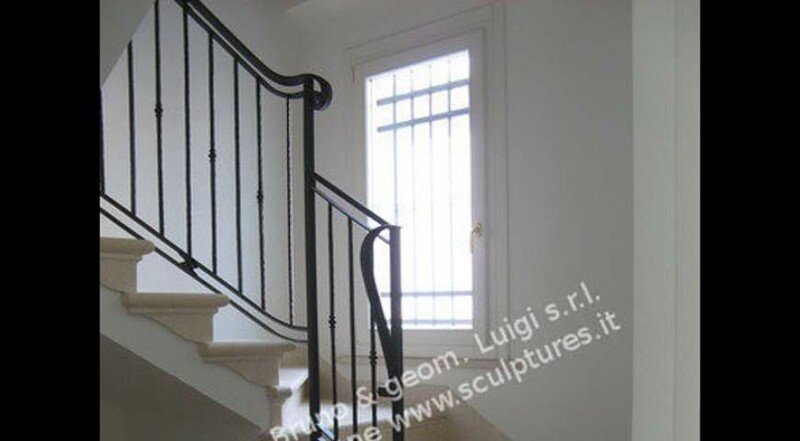 Stone cladding for walls and facades, stairs and staircases in white or yellow stone, stone columns and balustrades with hand-carved decorations, and still, stone elements for homes and villas such as portals, windows and window sills. We study the architectural projects to make stoneworks decorations for stone facades with balanced proportions and harmonious volumes that fits into the context of the building in synergy with the spaces and shapes of the structure, enriching and enhancing it.